Judging this book by its cover would be a big mistake. 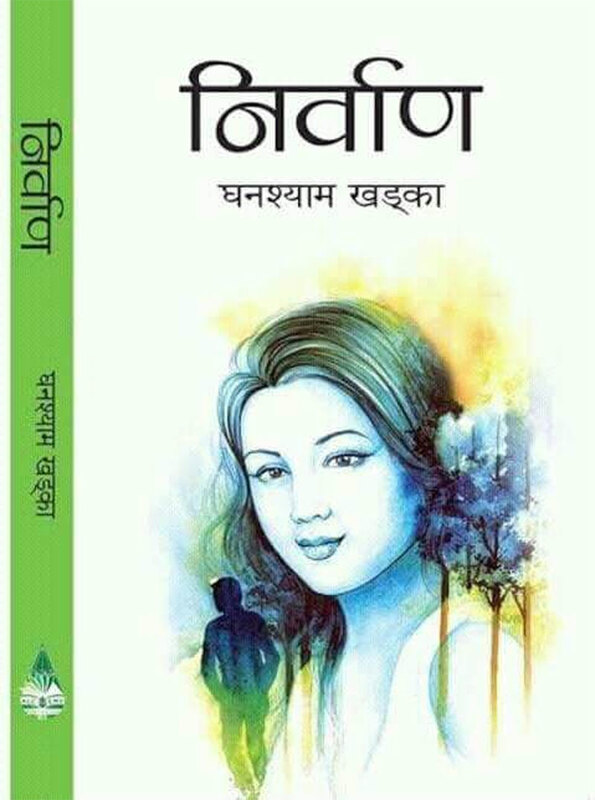 Nirvaan, debut novel of Kathmandu based journalist Ghanashyam Khadka, has lot more to offer in its 250 plus pages than what the cover image of a young lady with unruly hair seems to suggest. After you read it Nirvaan changes you and you are simply not the same person as before – and there lies the essence of the book. It will definitely touch you in many ways; leaving you a bit more joyful, relaxed, and spiritually awakened especially if you read the book till the last lines. And, the chances that you would leave the book midway are next to nil – thanks to its gripping narration, well put-together plot and storyline. A middle-aged psychologist, who is amazingly carefree and fine observer of the details around, is the central character of the novel. His life in the novel basically revolves around two beautiful girls – Monika and Sweta. Monika and the psychologist or the ‘I’ character (Bodhi) are having a wonderful time together; this is how the story begins. Monika is quite different than the ‘usual’ girls and often talks about the meaning of life and the reality of death. She doesn’t shy out from asking the almost newly met young man to sleep on the same bed with her though she has no intentions at all of making love. Bodhi, who fails to transcend beyond Monica’s superficial existence finds her irresistible but stays silent just to avoid a possible ‘accident’. Monika believed in higher and more intimate level of bonding with him but fails to get due attention from him. Disappointed, she quits the scene soon leaving him quite disturbed and desperate to meet her again. Dramatically, she appears in the end and meets Bodhi again when Sweta, another major character in the novel and the real beloved of Bodhi, is claimed by the mighty cyclone in the sea while the two were enjoying an impromptu journey on a ship. Monika and Sweta have many resemblances. Physical, as well as intellectual beauty, of the two women has made it easy for the writer to maintain decency in the narrations. The women, among other characters in the book, lay open the vastness and depth of human emotions, subtlest level of struggles and yearn for some peace of mind amid restlessness created by worldly affairs. The novel finely deals with the everyday life of people as well as the eternal, or the spiritual world at the same time. In course of his job, Bodhi, as psychologist, lets readers peep into the world of intense mental stress and quite helpful therapies as well. Interestingly, he himself is a restless fellow, thanks to a number of overlapping emotions and incidents and his sense of urgency to take action immediately. There are a few lines that will make you pause and reflect on it. ‘In the vastness of this universe, one’s life of around 70 – 80 years is just like a bubble of water’. Not all of them sound original. However, they do make good sense due to the contexts. The book makes readers think about human life in a different way. Since they see Monika rising above the worldly ties for the ‘ultimate goal of human life’ – Nirvaan – and succeeding in remaining blissful rather that way, they may love to compare it with their own versions of life. The writer has taken the support of coincidences at a number of places to bring in or push out the characters as per the need of the story. Some coincidences, though he has tried to justify them by throwing off surreal questions at the readers, might not sound convincing. Some chapters are unnecessarily lengthy – the over narration of the physical pain of the ‘I’ character following a road accident has not served any purpose. And lengthy information about the school where he taught is boring too. The author’s obsession with the ‘I’ character is quite obvious. Another thing that the readers might have a problem with is this: Real life is generally not as smooth or dramatic as the writer plays it out in the book. 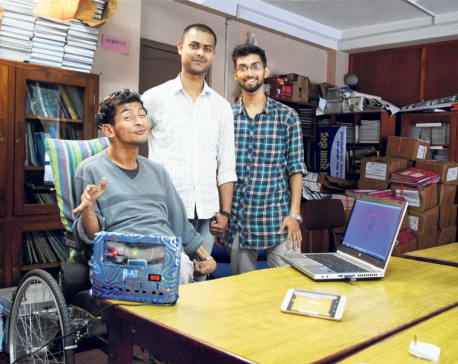 It is far messy and demanding to be prepared to follow the footsteps of someone like Monica or the psychologist who prioritizes ‘Nirvaan’ over everything else. However, the book, I must say, still has the capability to further open our hearts and minds. 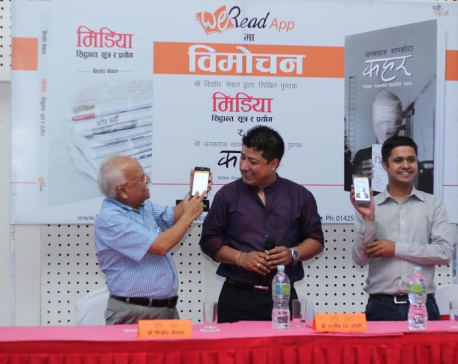 To be precise, I believe, Nirvaan, which has also been nominated for the highly acclaimed ‘Madan Puraskar’, is one of the best books among all the Nepali literary pieces published this year.